When she finishes the book she sends it to the publisher to begin earning royalties. The Royalty Report has also come in for the book that she published yesterday, it’s §129, not bad for her first book. Her funds are now §2581. After publishing her book she goes collecting around Skyward Palms. Rosabelle’s social need is low but she doesn’t care, she just wants to finish collecting so she can call Pawel and ask him on another date! 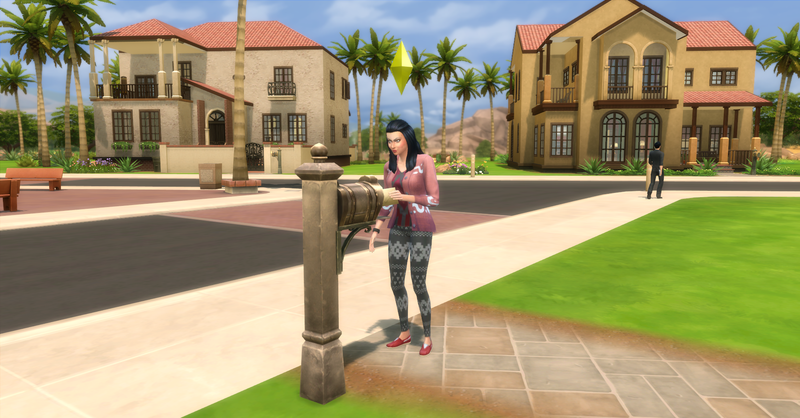 Ironically enough Pawel comes to visit Rosabelle while she is out collecting in the neighborhood. Oh well she will see him soon anyway. After Rosabelle finishes collecting she changes into her party dress and calls Pawel to ask him on a date. Rosabelle asks Pawel out to the Solar Flare Nightclub in town and he says yes. They meet up at the club later. 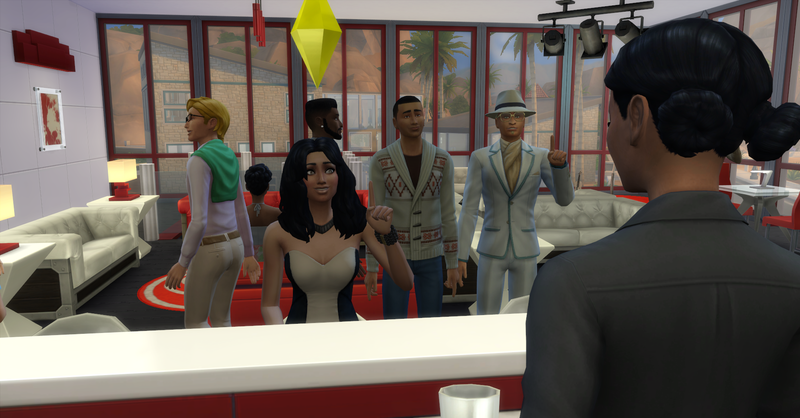 At the club, Rosabelle orders free chips for herself and Pawel orders a drink. They sit and chat while Rosabelle eats her chips. Then they dance together for a while. Afterwards things get more intimate and they want to spend more time alone together. Rosabelle and Pawel move out to the balcony to get more privacy and to continue their intimate conversation. Rosabelle has something very important to ask Pawel. On the balcony Rosabelle askes Pawel a very important question. She asks him “will you be my boyfriend?” He answers “Yes, I would be honored”. It is clear from the look in Pawel’s eyes that he really likes Rosabelle. 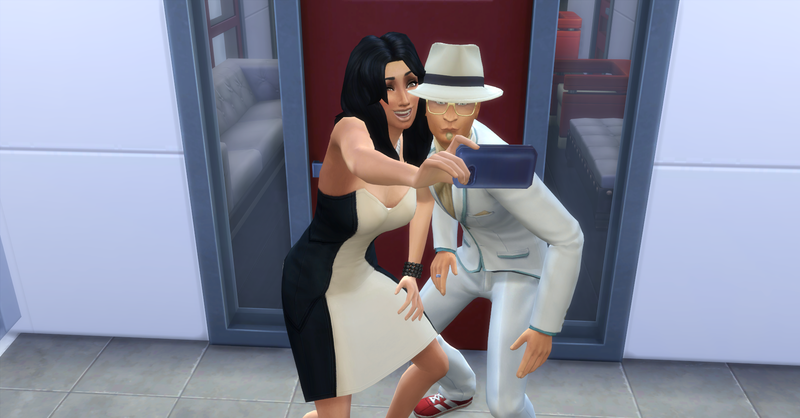 Rosabelle wants to take a selfie with Pawel to commemorate this moment together. 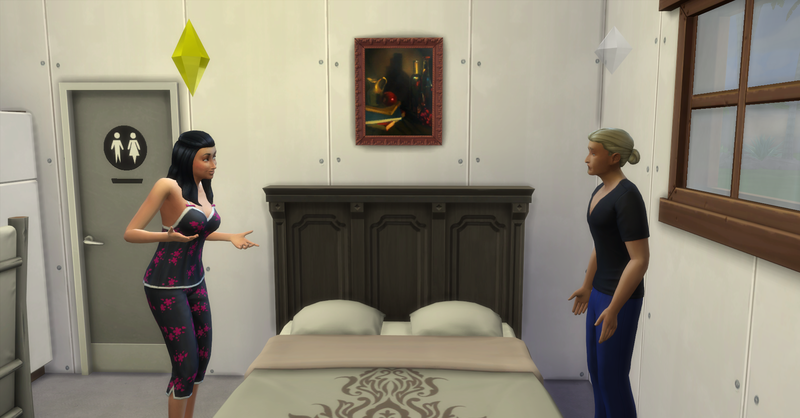 It is getting late and Rosabelle is getting tired so she invites Pawel to spend the night at her new house with her. He agrees and they are both very excited. 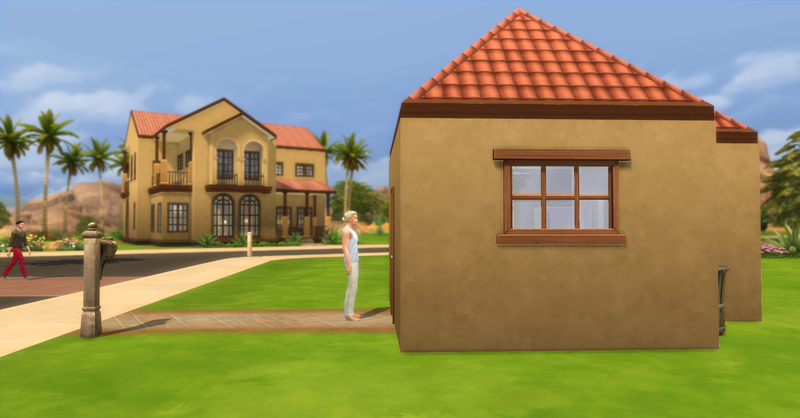 Rosabelle and Pawel return to her house together and things continue to get steamy. 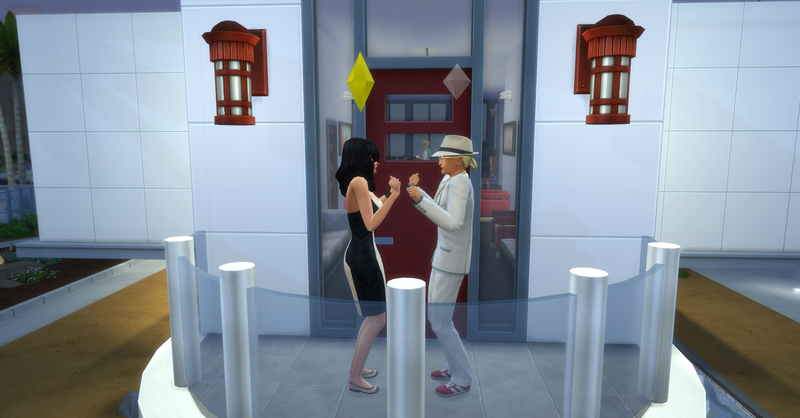 Once they are back at Rosabelle’s, she asks Powel to woohoo with her. They are very excited about it. It is both their first time woohooing! Afterwards Rosabelle pops the really big question. “Does Pawel want to move in with her, now that they are officially dating.” He says YES ! and Rosabelle goes to bed because she is tired for the big day. After she goes to bed, Pawel isn’t tired so he uses the computer to get a job as a Writer’s Assistant and then starts a book of short stories called “Tall Tales for Short Adults” and reaches level 4 writing. Pawel sends his book off to the publisher to start earning royalties. He also makes a copy for §58 so they will have something to read in the house. Their funds are now $3167. 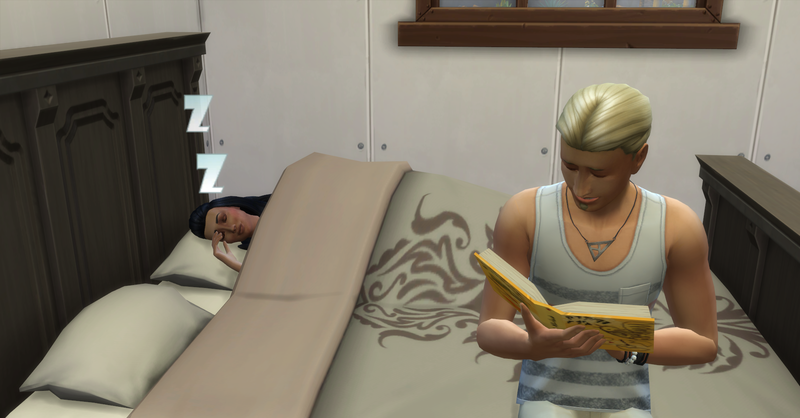 Afterward he reads his new book for awhile next to Rosabelle and then goes to bed as well. Check back soon for Week 2: Day 12 of our Challenge! finally caught up on this story. i can’t wait for the cuteness that will be their kids. Yes! me either! I hope they get both parents features. New posts will be coming today! 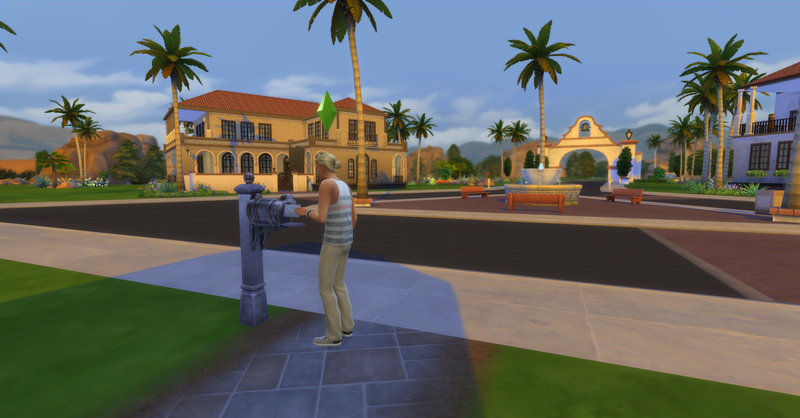 Yay, she and Pawel can began the 2nd generation and he can help bring simoleons in to help reach her goal. Cool!!! I really like this challenge and how you tell the story. Nice work! Thanks so much. I am very excited to start the next generation. New posts will be up very soon life has gotten in the way recently.